nature, biomimicry and innovative design for leadership development, team building and personal discovery. The immediacy of the learning will help you to quickly internalize new insights and skills. Provides discovery-focused learning experiences and activities relevant to real world, real-time life and work situations. Engaging with horses and nature in focused and reflective activity relevant to real time life issues and authentic work situations challenges us to learn how to think rather than what to think. The benefit of learning with horses is that horses respond to honest and enthusiastic relationship, credible forward-thinking leadership, and to committed and engaging team work. 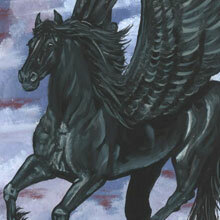 Horses have an amazing ability to resonate with and reflect back to us our authentic self. It is not about horsemanship, nor do you ride the horse. Partnering with horses in our "Experiential Learning with Horses" programs you will have the opportunity to clarify your vision, embody your commitment, expand your natural ability, team effectiveness and organizational capacity. 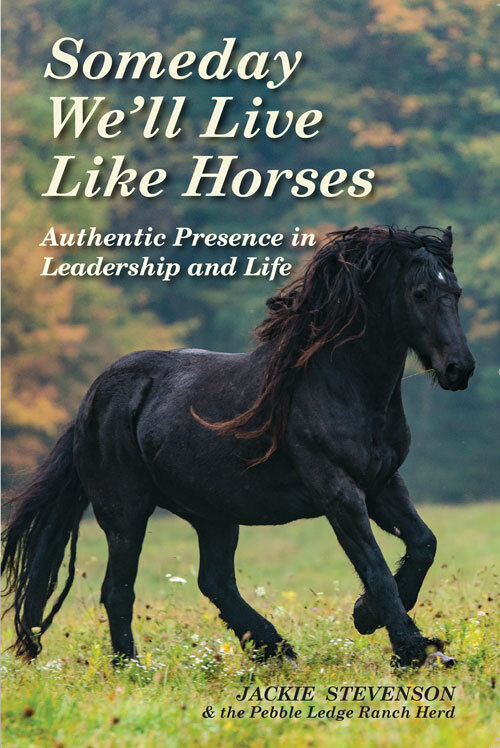 Horses are natural leaders - The herd is relationally responsible. Horses are born natural leaders trusting their senses, knowing their purpose and taking clear action. A horse herd is inclusive - everyone belongs, everyone is essential, everyone matters. Relationship is primary in the herd - it is based on trust, clear communication, and the importance of each horse’s place in th herd. experiences to build capacity for leadership excellence. Partnering with a horse, you will learn to lead with focus, intention, direction and movement toward your clearly defined goal. Facing challenges with the horses prepare you for challenges in your work. You will learn to recognize subtle opportunities for success that might otherwise go unseen...an important skill that will help you maximize success in your organization. Your team will partner with the horses in a variety of challenges that require collaboration, cooperation, courage and creativity. Facing unfamiliar situations and tough decisions in working with the horses strengthens the cohesion and competency of your team. Our goal is to inspire your organization to be its best. Working as a herd you experience loyalty and what it means to belong, to hold a shared vision from an individual perspective and to be committed to a shared purpose. Learning from the herd you will gain a clarity about the difference you make in your organization and your contribution to its success. stability within often unpredictable and fast changing environments. responses inspires intelligent optimism, well-being and the capacity to thrive. Our goal is to deliver profound experiences for positive change inspired by horses and the natural world. The beauty and wisdom of horses and the powerful presence of the natural world offers expansive possibility for creative thinking, thoughtful decisions and powerful action. Biomimicry is a cutting edge discipline that observes and studies natures best ideas and applies them to designs and processes to solve human problems. your dilemmas from a new perspective. Discover your resourcefulness, learn new skills, build your innovative and design capacity and move toward your desired future. Serving Cleveland and the greater North East Ohio area through innovative retreat services, training, coaching, leadership, team building, diversity and inclusion programs and personal discovery opportunities.